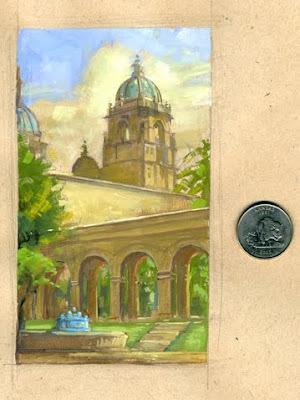 Last week I took my outdoor sketching class to Balboa Park. This was our first week using gouache, so I did this little demo. It is about 5.5 inches tall and 3.25 wide in my recycled paper sketchbook.